I should also acknowledge that CiviCRM user Seamless Relocation sponsored our stand by lending us the display boards and the furniture that we used, eg the tables and chairs. Although the stand was only 6 sq m (3m wide x 2m deep) I have to say that we were fortunate to get a stand in a prominent position, but I don't know how much this helped in attracting the impressive number of visitors that we had during the two days of the event. Well done guys, looks pretty good!!! 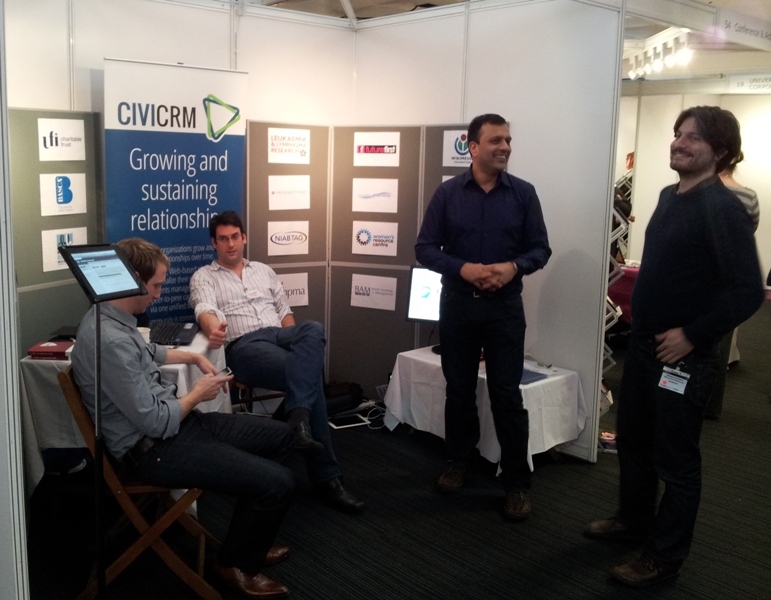 Great to see folks stepping up and evangelizing CiviCRM at key conferences like this! I've removed the PS and adjusted the tag. Really pleased to see this. I fed back to CHASE in 2009 that you guys should be there, providing a balance to all the comercial suppliers. Well done I hope it proves worthwhile.